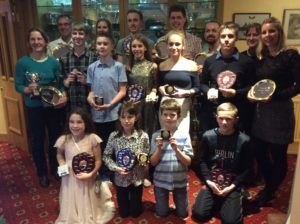 Thetford Athletics Club held its annual end of season celebration, marking the end to another successful season on the track and field. A number of the athletes efforts were recognised at the awards ceremony held at the Thetford Golf Club. Thetford ACs Junior Club Captains, Aiden Try and Jessica Norkett were both honoured; Try recognised as Under 17 Track Athlete of the Year whilst Norkett received the double honour of Under 15 Track and Field Athlete of the Year. The award for Under 17 Field Athlete of the Year went to hammer thrower, Joseph Nicholson with Charlie Stone awarded the Most Improved U17 athlete. Tyler Howard was awarded the Most Improved U15 Athlete of the Year. The Under 13 Track Athlete of the Year was Abigail Clouston whilst the U13 Field Athlete of the Year was awarded to Cameron Try. Asha Soanes was awarded the Most Improved U13 Athlete of the Year. The Under 11 Track Athlete award went to Isabel Smythe with the field equivalent going to Alicia-Mae Howard. Daniel Clouston was honoured as the U11 Most Improved Athlete of the Year. The Senior Male and Female Athletes Awards went to Paul Rayner and Sabine Schaefer respectively whilst Scahefer was also awarded the Athlete’s Athlete of the Year Award having been voted by the majority of her fellow athletes as the one most admired and respected this year. 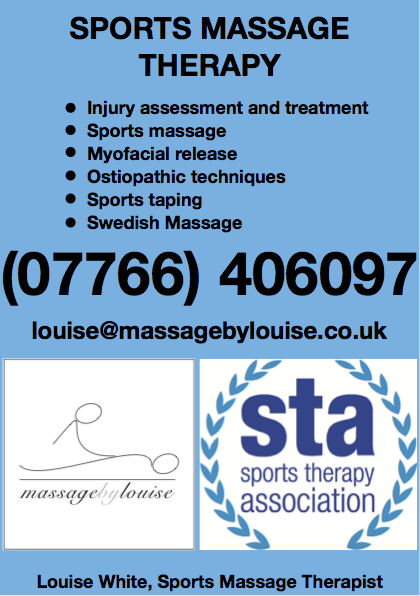 Clare Slattery was the Senior 5km Summer Time Trial Series winner.